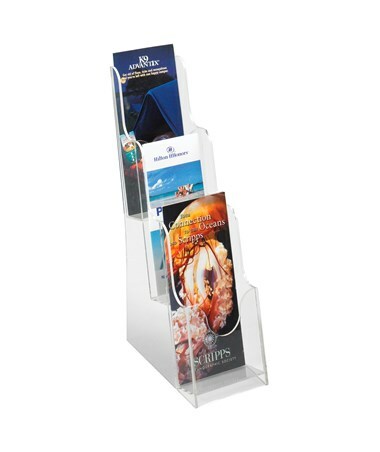 The Safco Acrylic 3-Pocket Pamphlet Display is a great tool for organizing and displaying pamphlets in a stylish way. It has a clear body that makes its contents visible. It also features three layered compartments that are 4.5 inches wide and can fit up to two inches thick of printed material. 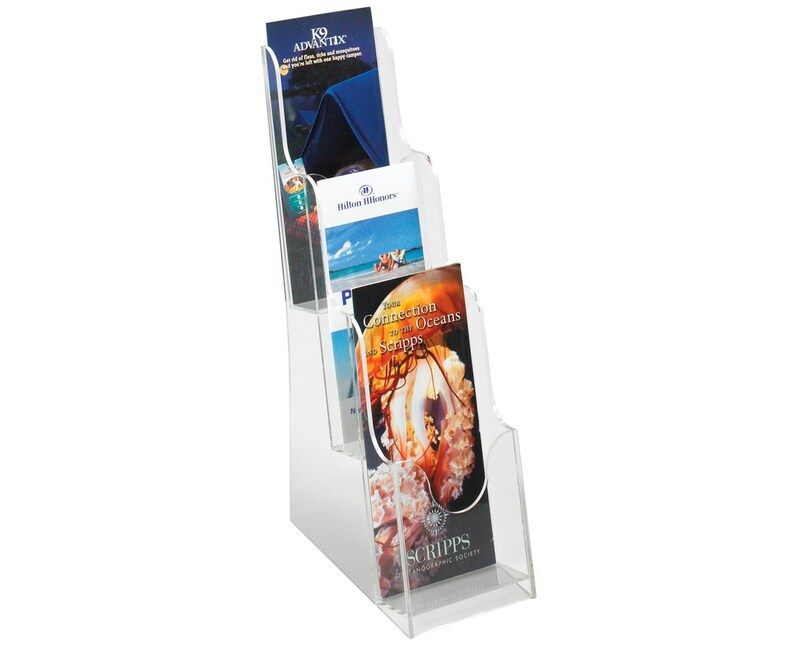 This pamphlet holder is made of acrylic and is GREENGUARD certified, meaning it is safe and does not emit harmful chemicals.